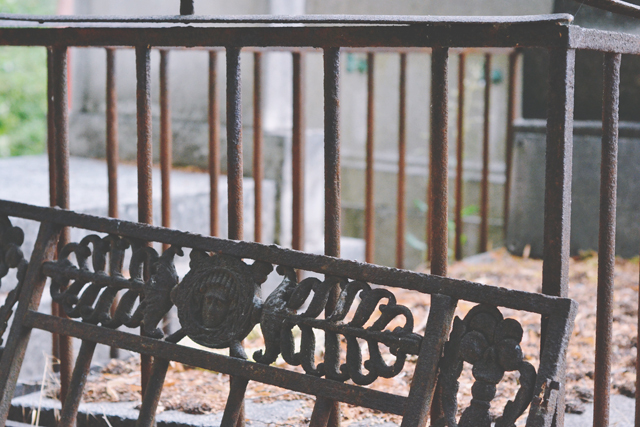 A long, long time ago (well, two years ago exactly), I wrote a post about my visit to Highgate Cemetery. 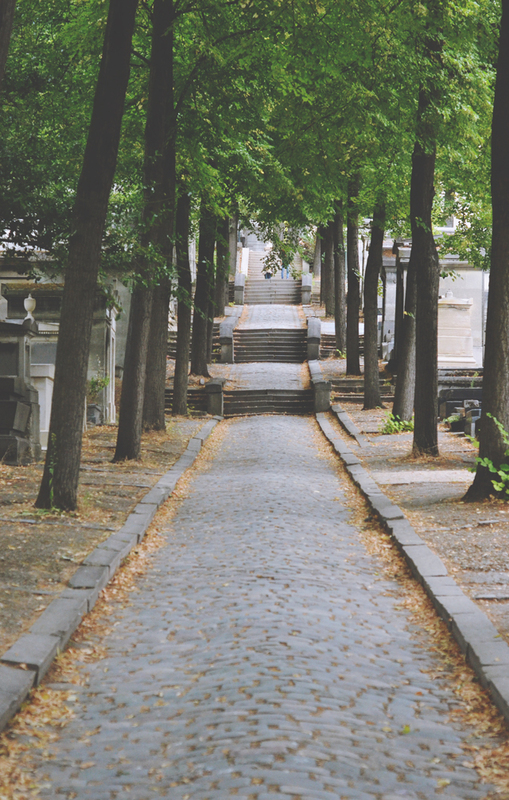 A couple of people recommended Pere Lachaise Cemetery in Paris and, after a bit of research, it went straight to the top of my second 101 in 1001 list. Needless to say, when I found out we were going to Paris for our anniversary, this was at the very top of my itinerary. 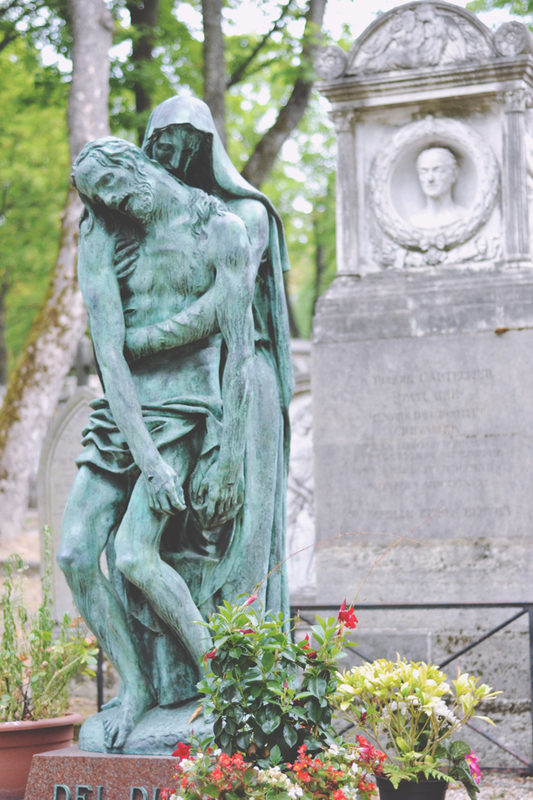 As it was such a hot day, and we had lots to get through, we chose to take a gentle stroll from the main gates near Pere Lachaise station right through the middle of the cemetery to Oscar Wilde's grave at the back, before leaving via the Gambetta gates. This walk, stopping to take photos and have a rest at the top of the huge flight of steps, took us perhaps an hour in total. While not as big as Brookwood Cemetery, this necropolis is still huge at 110 acres so I'll definitely be returning to spend several hours exploring every corner. Here's a tip: Don't do what I did! The cemetery is built on a steep slope and if you enter through the main gates, it's an uphill walk for the first half, followed by these steps. 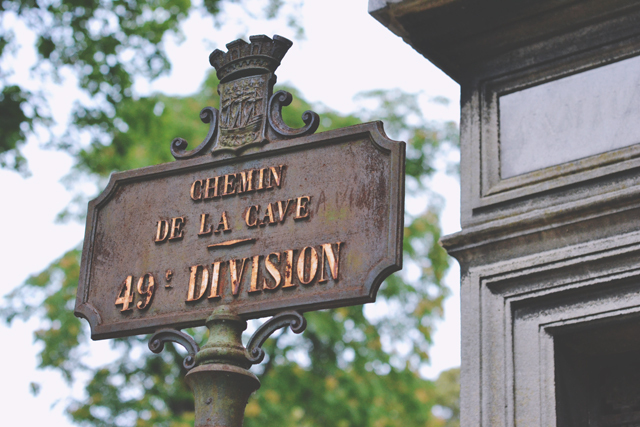 Entering at the Gambetta gate and walking towards the main gate means it's downhill the entire way. There are a huge number of mortsafes still in place around the cemetery. I found this interesting because I'd always assumed bodysnatching was exclusive to the UK and, if pressed, would probably have said it was more of a Scottish thing, what with Burke and Hare. Thinking about it now, it makes sense that the problem of stealing corpses would be more universal. A little bit of research shows that body snatchers in France were known as Les Corbeaux, which means "the crows". 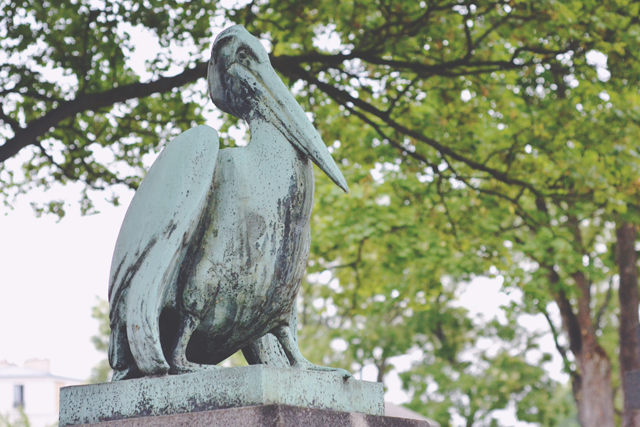 This is interesting considering that Pere Lachaise was dominated by crows- seeing crows sitting on top of gravestones around every corner was a very creepy sight! 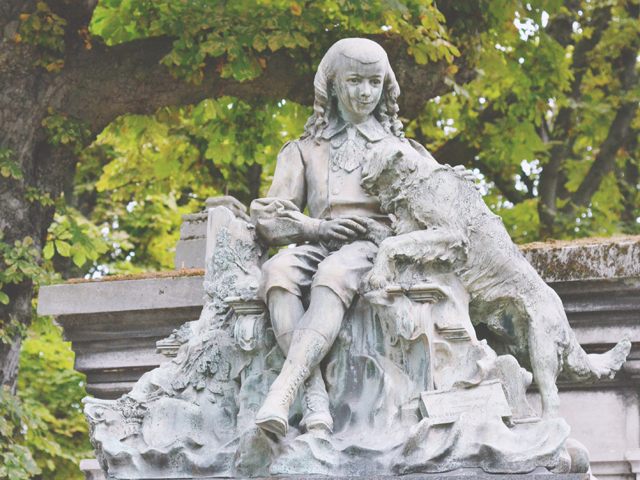 This stunning headstone marks the grave of Cino Del Duca, an Italian-born film maker and magazine publisher who played a part in the French Resistance, and his wife Simone. A big difference from Pere Lachaise to UK cemeteries was how many of the crypts were decorated with stained glass. Not only were there many, many more of the small buildings than are found in our cemeteries but it seemed every single one had at least one stained glass window. Many of these windows were damaged. 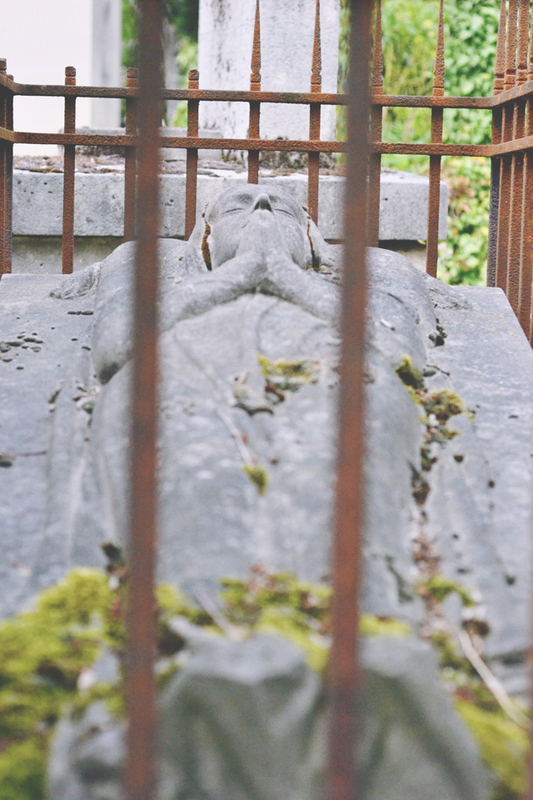 In fact, a huge amount of graves had been smashed in and opened. 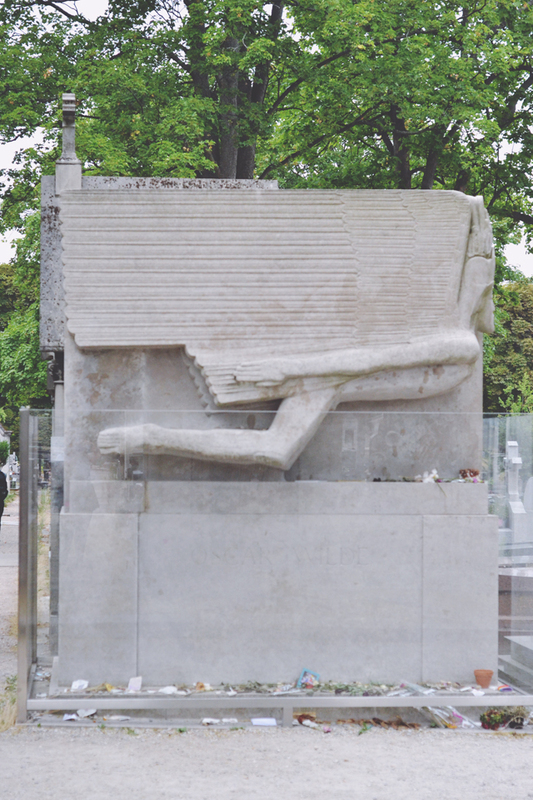 Oscar Wilde's tomb was designed and sculpted by the artist Jacob Epstein. At one point, the figure had genitalia but they were removed in 1961. Nobody knows where they ended up. 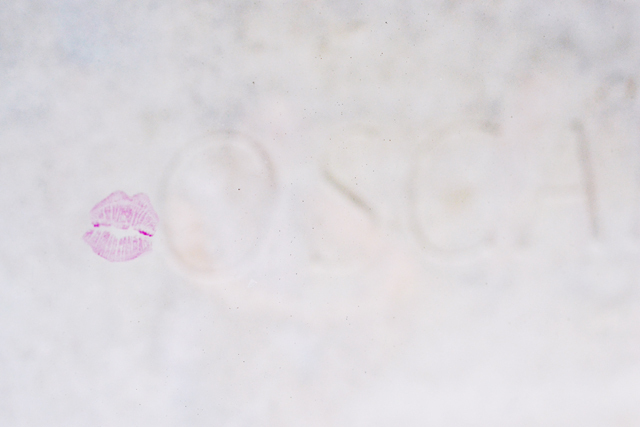 In the late 1990s, a tradition started in which women (presumably) would kiss the stone wearing red lipstick. Although I think this is quite a lovely tribute, the build up of lipstick began erroding the stone, so in 2011 a glass barrier was erected. Although I understand the purpose, I think the implication that it is disrespectful is a little harsh, since the marks are supposed to be a symbol of love. These days, the glass barrier is kissed instead (something I chose not to do because, well, I don't know who's been touching it!) and regularly cleaned to remove the marks. 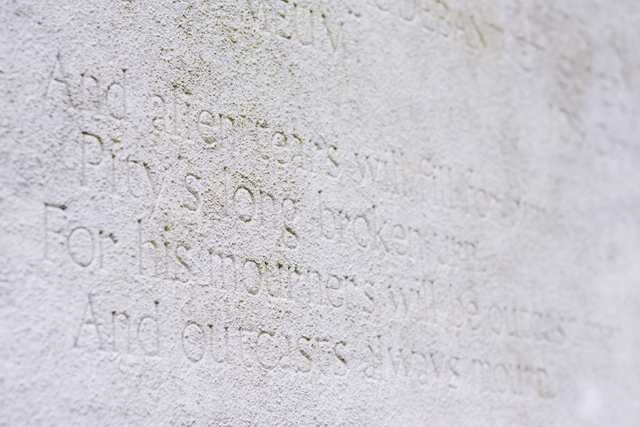 A determined few have managed to kiss the side of the sculpture by standing on the tomb beside Wilde's, which doesn't sit very comfortably with me at all. What's heart-breakingly sad is how far from the truth this verse could be. 115 years after his death, Oscar Wilde is accepted in a way he never was during life. 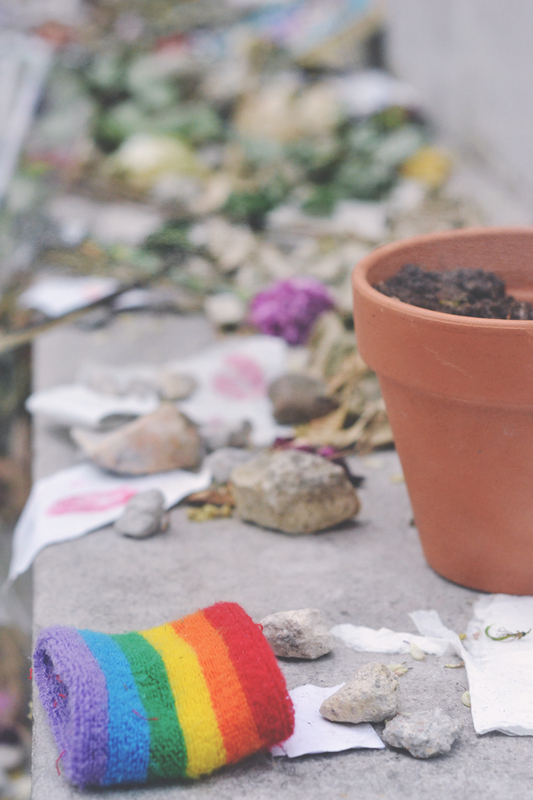 Although the battle against homophobia is far from won, he would have been welcomed with open arms in today's society, something that is apparent from the messages and gifts that are scattered at the base of his tomb. Of course many of Wilde's fans are cast out from society and will relate to the feeling of having to hide their true selves or be persecuted for them, and yet he is also a hugely popular classic author. If only he had been born 100 years later, things would have been very different. There's a bitter irony in how celebrated he is now, when in life he was shunned and exiled for who he was. There was so much of the cemetery that I didn't get to explore. I'll certainly be heading back to have a proper look around. 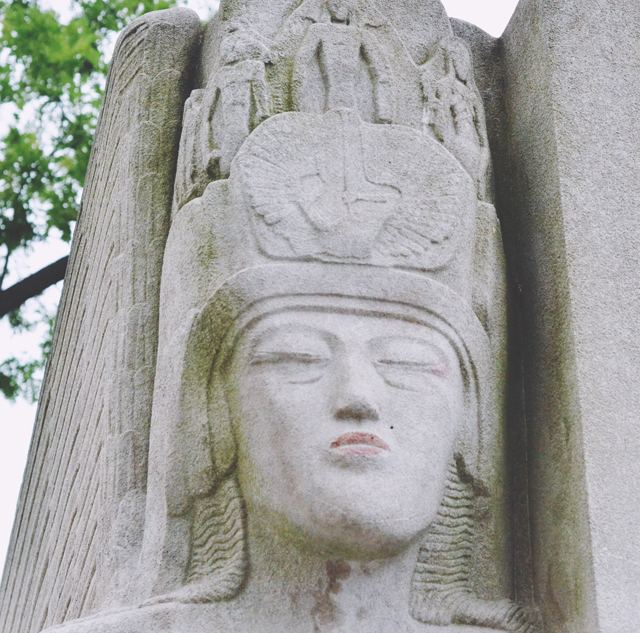 Oh I do love a good cemetery and actually recently wrote about Melaten Cemetery in Cologne. 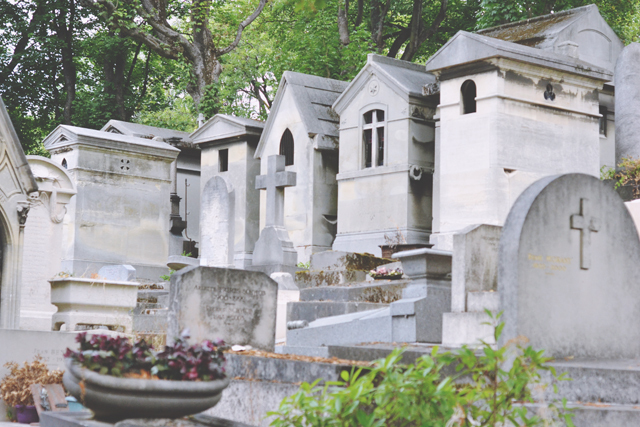 I haven't yet been to Pere Lachaise but we went to Montparnasse Cemetery when we were in Paris in February. Highgate is top of my list! Ooh thanks for mentioning them! 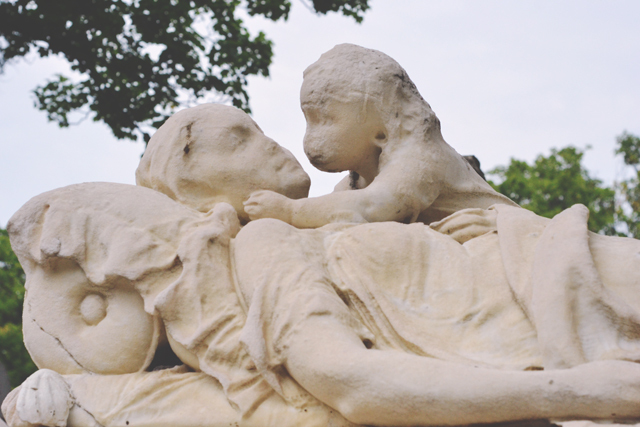 I've added both to my list of must-see cemeteries! This is a beautiful place! 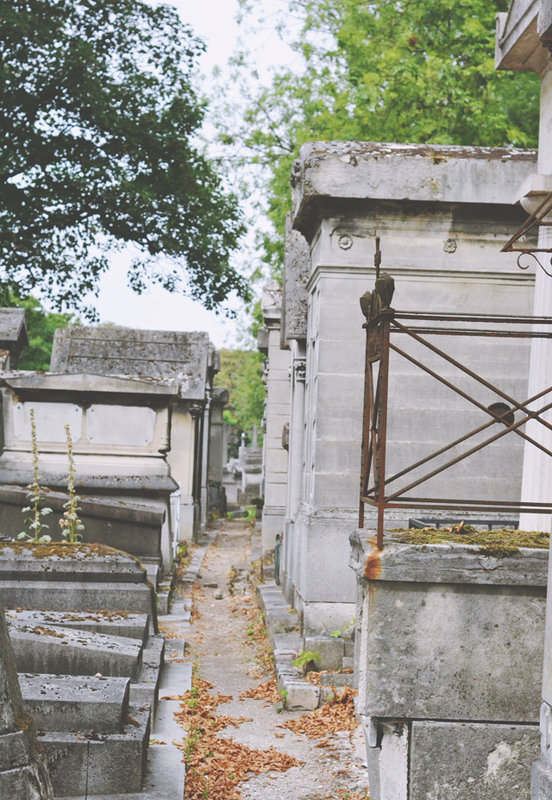 I've always been intrigued by cemeteries and my boyfriend gets really freaked out by it. I think they're so beautiful and interesting! Stunning...very interesting. 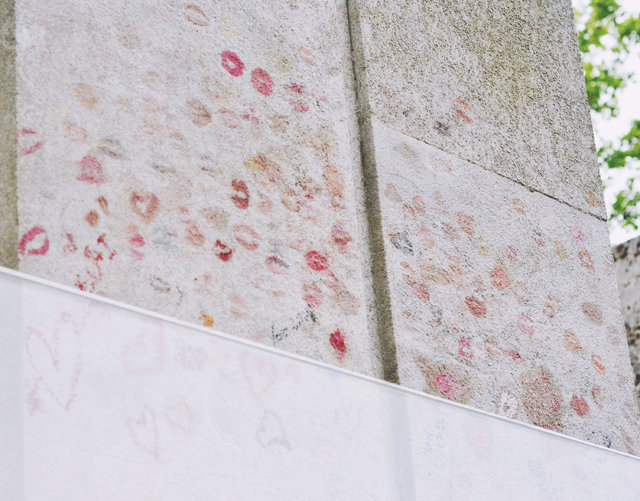 I think people kissing the grave of Oscar Wilde was actually rally sweet, although I do understand the need for the barrier since it was damaging it...although how do they get that it's a sign of disrespect? Anywho, lovely post, very very interesting. 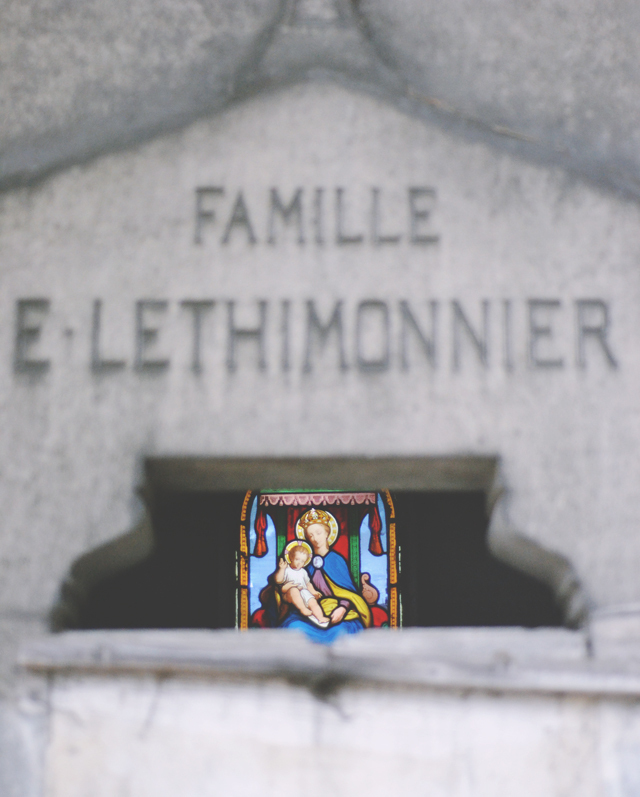 Ooh I loved Pere Lachaise! 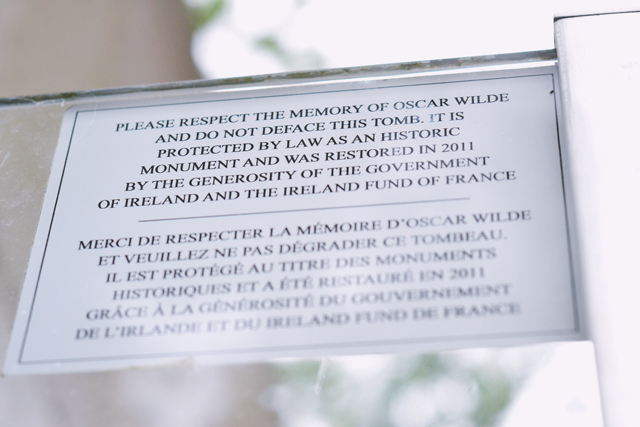 I went in 2008 and, to be honest, I'm glad they've put the screen around Wilde's grave. It really was looking quite 'defaced' when I saw it... 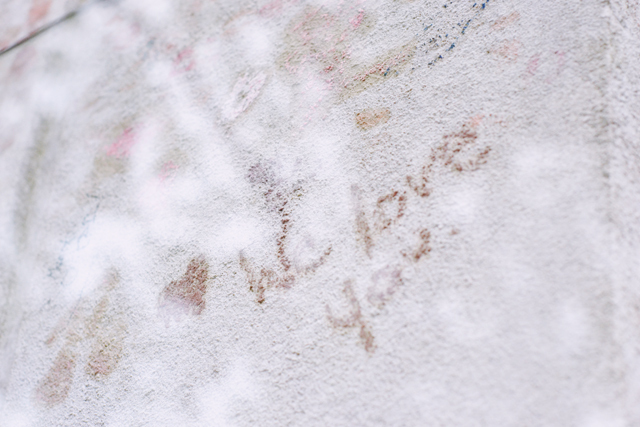 The idea of there being some lipstick kisses is beautiful but it was covered and lots of people had also written on it. It was starting to get a 'pub door toilet' vibe to it!